Registration fees go up on September 24 for “A Principled Practice: Ethics in Addiction Treatment and Prevention,” IC&RC’s first-ever professional training conference. Learn all the details about the conference here and register online today! The reduced rate at the hotel expires the same day – so book now for the best deals. A limited number of sponsorship and exhibition opportunities are still available for organizations, treatment centers, and educational institutions that wish to promote themselves to attendees. Contact Kay Glass, Marketing Director, at 717-540-4457 x 106 or kay@internationalcredentialing.org for detailed information. and Orange County Convention Center! 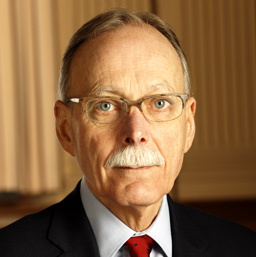 Stephen J. Morse, J.D., Ph.D.
Stephen J. Morse, J.D., Ph.D. is Ferdinand Wakeman Hubbell Professor of Law, Professor of Psychology and Law in Psychiatry, and Associate Director of the Center for Neuroscience and Society at the University of Pennsylvania. His work emphasizes individual responsibility and the relation of the behavioral sciences and neurosciences to responsibility and social control. His presentation will consider the moral and legal responsibility of addicts for their addiction, including recovery, and for other behaviors related to their addictions. The central argument is that seeking and using substances is voluntary action and thus may be fairly assessed morally and legally, even if these actions are the signs of a disease. Advances in addiction neuroscience and other addiction sciences do not conclusively demonstrate that most addicts are not responsible for their addictions and related behaviors. Nonetheless, criminalization of the behaviors that constitute addiction is not wise social policy, and advances in the addiction sciences may guide sensible reforms. Half-day workshop on Saturday, October 29th will cover “Culturally Complex Ethical Challenges” with Stephanie Murtaugh, MA, MBA, LPC, CAC, CCS, CCJP, CCDP Diplomate. Attendees are also invited to IC&RC’s 30th Anniversary Celebration Reception on Thursday, October 27, 2011 at 6pm. This year only, your conference registration includes complimentary access to IC&RC Professional Services – priced at $25 a year but valued much higher. In early November, I represented IC&RC at the 53rd International Council on Alcohol and Addictions (ICAA) conference in Cancun, Mexico. The theme of this year’s ICAA conference was “New Challenges-New Answers.” Approximately 1,500 addiction professionals were in attendance over the three-day conference. Trainers from around the globe presented plenary sessions including Dr. Andrea Barthwell (US), Dr. Vincenzo Pisani (US), David Templeman (Australia), Dr. Petra Meier (UK), Dr. Victor Manuel Marquez Soto (Mexico), Dr. Jose Armando Salazar Ascencio (Chile), Dr. Thomas Legl (Austria), and Dwight Rodrick (Switzerland). Session topics were The Road to Best Practice – Is it Science or is it Marketing? ; Marco Political and New Regulatory Approaches to Address Addictions; Family Therapy; Tobacco Dependence; Public Policies; Women and Gender Issues; The Impact of Advertising on Consumption; Alcohol, Drugs and the Global Movement of People; Alcohol and Drug Treatment; Best Practices from Around the World – How To Adopt Them In Different Settings; Alcohol and Drug Prevention; Ethnic Dimensions of Addiction; Alcohol and Drug Problems in Business and Industry; Criminal Justice – Changing Conditions in Prison Treatment; Other Addictions; Therapeutic Communities; Cultural, Social and Economic Differences and Their Impact on Alcohol Consumption and Policy; Addiction Research and Practice – How Useful is Research; WHO Global Strategy; Redefining Harm Reduction in the Alcohol, Tobacco and Drug Fields; WHO Global Alcohol Strategy; Innovative Prevention Approaches Working in Mexico and Latin America; Stimulants; Marijuana; Universal, Selective and Indicative Prevention Strategies in Latin America; Accessibility of Licit and Illicit Drugs on the Internet and Early Warning Systems; Addiction Care and Media; The Way Forward in Public Health; and Looking Forward – New Directions. Most of the attendees were treatment and prevention professionals from Mexico. I had the unique opportunity to speak with many of these individuals and promote certification through IC&RC’s member board in Mexico, the Mexican Certification Board for Professionals on Addiction, Alcoholism and Tobacco. Many were aware of a credentialing process in Mexico but unsure what was required for certification. Of great interest was the written examination, along with preparation strategies for taking the exam. On September 30, the Nordic/Baltic Regional Certification Board (NBRCB) held its first annual meeting at Drejervej 15, in Copenhagen, Denmark. The following countries were approved and confirmed as affiliates of the NBRCB: Denmark, Iceland, Norway, Finland, Sweden, Estonia, Latvia and Lithuania. During the session, Stefán Jóhannsson, head of the the Icelandic School of Addictions Studies, Hasse Schneidermann, secretary general of NordAN, Sigurlína Davíðsdóttir, professor at the University of Iceland, and Jeff Wilbee, then-president of IC&RC, gave presentations on the benefits of more educated staff in the field and the need to enhance workforce professionalization through education and measuring of skills, knowledge, and competencies of prevention specialists and alcohol and drug addiction counselors. The National Conference on Addiction Disorders (NCAD) is taking place September 8–11 at the Hyatt Regency Crystal City in Washington, DC. The agenda will consist of programs and tracks that deal not only with treatment, but also administration, finance, technical, and medical professional issues. Attendees will learn the latest advancements, methodologies, and research that are shaping current and future addiction treatment programs, while earning up to 30 credit hours. As a courtesy to IC&RC members, NCAD is offering to extend the early bird discount for IC&RC credentialed professionals until August 13. Your members can use a discount code when they register – email info@icrcaoda.org for the code. In the last several months, IC&RC has been represented at a number of conferences. Conferences are an important form of outreach that promote our organization and facilitate discussions with colleagues. The Marketing Committee carefully reviews proposals for conference participation, then assesses the return-on-investment to guide next year’s decisions. Donna Johnson, Chair of the Criminal Justice Committee, travels extensively discussing IC&RC. One recent event was the National Association of Drug Court Professionals conference in Boston, MA in early June. IC&RC shared an exhibit booth with CAADAC, and Johnson was able to distribute many brochures and have many fruitful conversations. If you’re intrigued by marketing activities, Debbie Gilbert and I would like to invite you to join the Marketing Committee. We have a meeting (via conference call) slated for mid-August, so it’s a perfect opportunity to see what we’re doing. We’d love to have you! Email me for detailed information on the call.